Is that an astrological motif I spy at Christian Dior? Looking at these runway pics from Paris Fashion Week I was convinced! 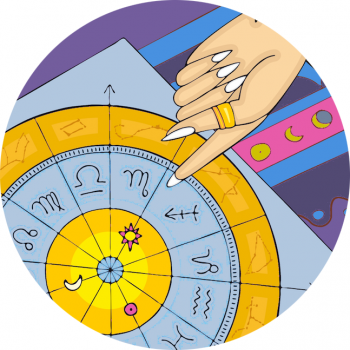 And a quick look at their Instagram, it’s confirmed – the team are horoscope obsessed! There’s one problemo – we need more pics – gasping for a bit more gown over here! And how pretty is the makeup? Our haute couture Spring-Summer 2017 show, welcomed an unusually special guest. Zoltar the Fortune Teller was backstage with our girls to provide them with often surprising life predictions as they got into the mood of #MariaGraziaChiuri’s show.